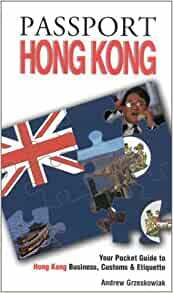 Comprehensive guide to the culture, etiquette and communication of Hong Kong. Success in international business is not just about your product and service, or about terms and delivery schedules. Success is about people, traditions and relationships. Passport to the World books are comprehensive guides to understanding a country's people, culture, etiquette and communication styles. Passport Hong Kong will help you: Avoid cultural faux pas Learn about Hong Kong Chinese values and beliefs Understand the reasons behind the actions Develop an effective negotiating style Don't leave without your passport!